VARIOUS CLINICAL FEATURES OF GUILLIAN BARRE SYNDROME IN PATIENTS PRESENTING TO A TERTIARY CARE HOSPITAL IN KARACHI. 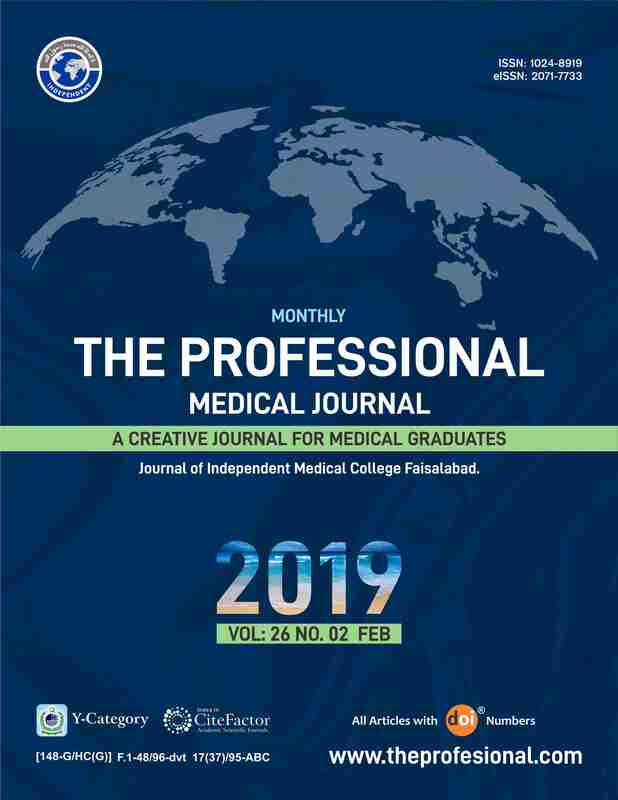 Naeemullah Bullo JPMC / JSMU Karachi. Dileep Kumar SMBBMC Lyari Karachi. Objectives: To determine the frequency of various clinical features of Guillian Barre Syndrome in patients presenting to a tertiary care hospital in Karachi. Study Design: Descriptive study. Period: July 2015 to December 2015. Setting: Tertiary care hospitals of Karachi. Material & Methods: Seventy five diagnosed case of GBS who fulfill the inclusion criteria irrespective of gender included in the study after informed consent. Data was collected on preformed proforma. Detailed history, physical examination was done on each patient, diagnosis was confirmed on NCV & EMGs. Data analysis procedure was done with the help of SPSS version 16. Mean±SD was calculated for age of the patient and duration of clinical features. Frequency and percentages were calculated for different clinical features. Stratification was done with respect to age, gender and duration of clinical features to control effect modifiers in the study. Results: Mean age was 43.96±14.22 (ranging from 15 to 70) years, among 75 patients 51(68%) were male & 24(32%) were female, majority of patients (34) were >50 years of age, 45.3% of patients had pain in extremities; pain in back was reported by 49.3%. Dysphagia in 80%, Ophthalmoplegia in 20% and Dysarthria in 16% of patients Respiratory failure was prevalent in 34.7% patients. Sinus tachycardia occurred in 49.3%, Sinus bradycardia 14.7% patients and 20% patients had urinary dysfunction. Constipation was also a predominant feature affecting 80% of patients. Conclusion: We found that GBS occurred at all ages and was more common in males. There are various clinical features of GBS along with flaccid limbs weakness clinical features observed & these should be address promptly for better outcome. Naeemullah Bullo, JPMC / JSMU Karachi. Dileep Kumar, SMBBMC Lyari Karachi.